Vinyl sales predicted to keep growing in 2017 | What Hi-Fi? According to Deloitte, sales of vinyl, turntables and accessories will approach £800m for the first time since the turn of the century. Vinyl sales are at a 25-year high, and according to one report, they'll continue to grow this year. 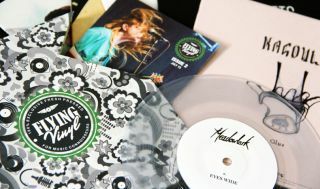 Deloitte predicts that sales of vinyl records, turntables and accessories will approach $1bn (£800m) globally this year. This would be the first time they've been that high since the turn of the century. Of this figure, 90 per cent will be from new and used vinyl records, with the remainder from turntables and accessories. Around 40m new vinyl records are expected to be sold globally this year - that makes up about 15-18 per cent of all physical music sales, and about six per cent of total music sales including digital. However, despite these growing sales, Deloitte says vinyl will remain a niche format due to its high price relative to other formats such as streaming and CD. This year, says the report, 20m of us are expected to buy "a small number of records at a high unit price relative to most other music formats. "Implicitly," it goes on, "billions of music fans will not purchase vinyl this year, instead consuming music predominantly via a blend of radio, TV, CD, digital streaming and downloads." It explains that while the collectible nature of vinyl will help it remain relevant as a format, it's "unlikely to ever be a growth or profit engine for the music industry". Indeed, according to a Deloitte poll of record buyers, almost half of those were yet to play their purchase a month after buying it, while seven per cent did not even own a turntable to play it on. The report concludes that while vinyl "has a future in music", from a revenue and consumption perspective the future "is all about digital, and this is where the brunt of the focus should be."